Working on our power recognises the unique gift that womxn of colour bring to transformative social change work. We use x in Womxn as an inclusive term to include non-binary, trans, gender fluid and cis women because we recognise that we all suffer under patriarchy. We aim to build an intergenerational and intersectional community of social justice movement leaders in Europe who are united in their experience of patriarchy and white-supremacy. 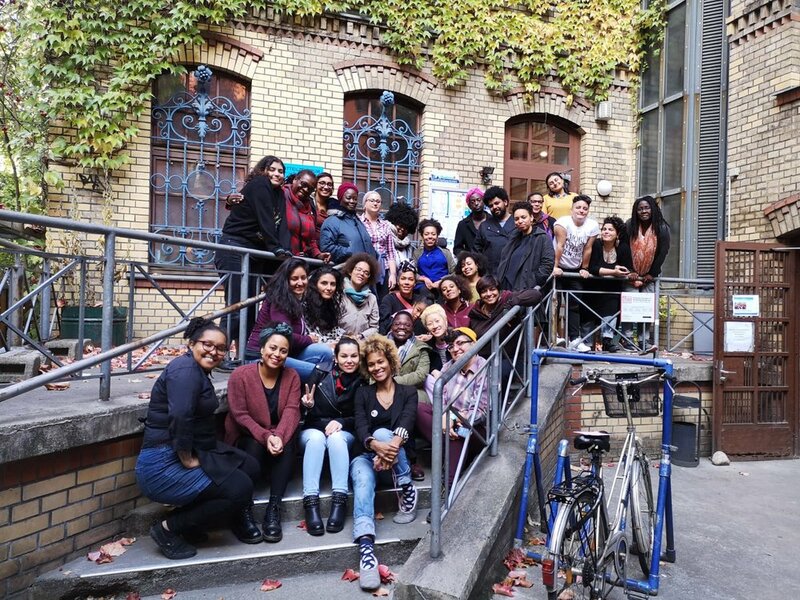 Throughout the program we will centre different tools of survival and knowledge systems of womxn of color in Europe by sharing these build power of those who are pushed to the margins. Our movements are failing to effectively address the root causes of xenophobia, racism, misogyny and gender violence in Europe. Too often, dynamics in social justice groups reinforce the systems that fuel oppression, continuing to organise within the realms of patriarchy and white supremacy. Effective movements need transformative leaders who can break through oppressive cultures. Womxn of colour already do this work because of our unique position of navigating life at the multiple intersections. We use our collective voices, history, creativity, healing, skills and power to begin living a new, different, transformed reality. This programme recognises and supports that work that is already being done. ● Integrity - to remain honest in our mistakes, and to honour our principles in our work by not compromising or falling short of our purpose. ● Accountability - taking full responsibility for our intentions, actions and decisions and the impact this has on the world. ● Creativity - making empowered decisions and taking risks in ways that challenge our self-belief and sense of possibility. We are currently three cis women of colour based in London and Berlin, working as partners in this joint project. 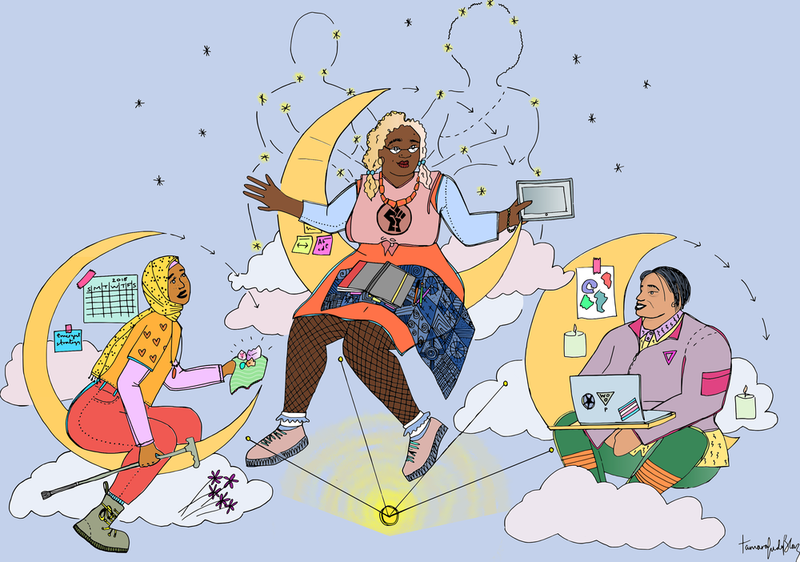 WOOP was conceptualised nearly two years ago by Guppi Bola and Jamie Schearer-Udeh in their capacity as organisers for New Economy Organisers Network and European Network of People Descent. The grant to support this work is hosted by Ubele - a social enterprise with a mission to contribute to the sustainability of the afro-caribbean diaspora community.